While ground beef is available almost universally in grocery stores and restaurants, venison is a treat reserved for hunters, their friends and families, and customers of exclusive specialty meat distributors. If you have access to it, however, venison is an attractive alternative to ground beef from a health and nutrition standpoint. Venison compares very favorably to ground beef when it comes to caloric content, fat and protein. The composition of ground beef varies, but according to the United States Department of Agriculture, 3 oz. 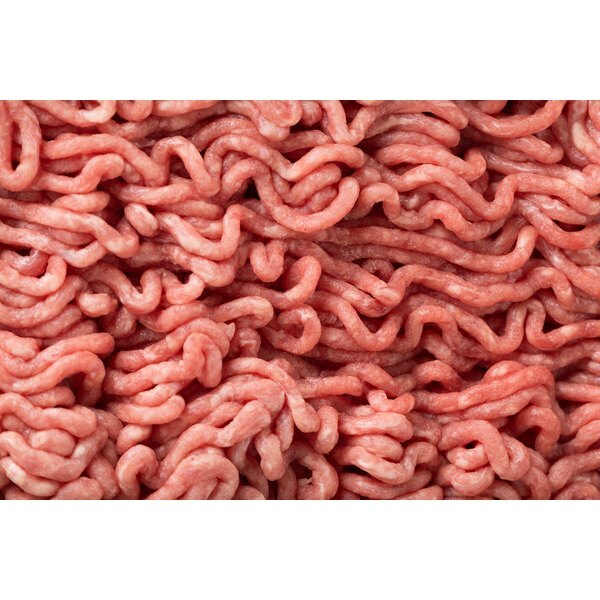 of cooked ground beef averages 200 calories, 12 g of fat and 22 g of protein. Contrast this to 3 oz. of venison, with only 103 calories -- roughly half as many as beef -- and 2 g of fat. Venison contains slightly less protein than beef, at 20 g.
It's not just the amount of fat in a food that's important; it's the composition of that fat. A 3-oz. portion of venison contains an average of 1 g of saturated fat, while the same portion of beef contains 4.5 g. More importantly, venison contains a far more favorable ratio of omega-6 to cholesterol-reducing omega-3 fatty acids than grain-fed beef -- about 2:1 versus more than 5:1, respectively. This comparison does not hold true for grass-fed beef, however; grass-fed beef has a very similar profile to venison and other game meat. Prepare ground venison in any recipe that calls for ground beef, but be cognizant of its lower fat content and add supplemental fat or oil when using dry heat cooking methods. Moist heat methods will yield a juicier end product that is naturally lower in fat than ground beef. Be aware that venison has a stronger flavor than beef, which some people describe as unpleasantly gamey. To mask gaminess, flavor venison dishes with tomatoes or peppers. Though the disease is vanishingly rare in the United States, eating beef from cattle with bovine spongiform encephalopathy, or BSE, is linked with the fatal human brain condition called variant Creutzfeldt-Jakob disease. In 1981, a related disease called chronic wasting disease, or CWD, was identified in wild deer and elk populations in the American West. So far, there is little evidence to suggest that eating meat from animals with CWD is dangerous to human health. Is Whey Protein Powder Easier to Digest Than Meat?